Saskatoon's first medicinal marijuana smoking lounge is pushing legal boundaries in the province. 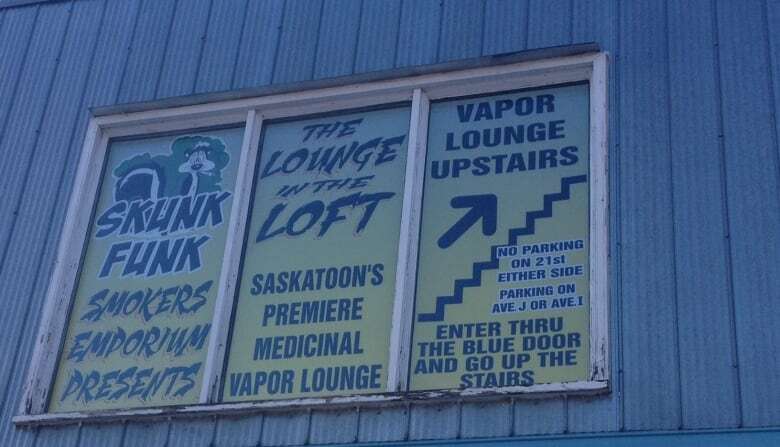 Saskatoon's first medicinal marijuana smoking lounge is open for business. Jeff Lundstromis licensed to grow and smoke medical marijuana. He is already the owner of a smoker's emporium on 22nd Street, and is a driving force behind the annual Prairie Harvest Cup which brings together growers and users of medical marijuana. In February, he opened "The Lounge in the Loft" above a business at 204 Avenue J S.
The idea is simple: create a safe, interesting environment in which people can smoke their medicinal marijuana. The lounge features couches, big screen TVs, a sound system, high-end pot smoking gear and a cooler full of munchies. Anyone who is over 18 years old and pays the $5 cover can use the lounge. ​Lundstrom says the lounge is aimed at, but not restricted to, people who smoke marijuana medically. "It's open to the general public, we don't have any qualms," he said in an interview. "The legalities are: don't come here with what you're not willing to get caught with if you don't have a licence." Lundstrom says people who do come will not be asked to show whether they have a license to smoke. That's where Lundstrom may run into trouble. A local defense lawyer, who asked not to be named, said most judges would take a dim view to that kind of don't-ask-don't-tell approach. Lundstrom, he suggested, is skating on very thin legal ice. "He'd better check their licences when they come in," the lawyer said. "Otherwise, he's being what you call wilfully blind. And wilful blindness is not a defence." Saskatoon Police were not aware of the lounge until contacted by CBC. It's on their radar now. "If this business is in operation, our drug unit will certainly be investigating," Alyson Edwards said in an e-mail. "There could be charges laid under the Criminal Code." Lundstrom says he's aware of the potential legal fight he's courting. Given that he has a license himself, he's not concerned about his own legal fate. "I'm worried that I'm painting a bull's-eye on my customers more than myself. I'm willing to go down for the cause," he said. The lounge is open seven days a week, from 3:30 p.m. until 10:30 p.m. CST.